The RAC Foundation has welcomed the news that at least nine cars will soon be available to those buyers taking advantage of the government’s ultra-low carbon car grant scheme which begins in January 2011. The first nine cars to become eligible for eco-friendly car grants are: Mitsubishi iMiEV; Mercedes-Benz smart fortwo ED; Peugeot iON; Citroen CZero; Nissan Leaf; Tata Vista EV; Toyota Prius Plug-in; Vauxhall Ampera and Chevrolet Volt. The grant will be available to motorists across the UK from 1 January, reducing the cost of eligible cars by a quarter, up to a maximum of £5,000. The Government is also encouraging a new network of electric vehicle recharging points in streets, car parks and commercial retail and leisure facilities as driving electric cars becomes a part of everyday life for pioneering British drivers. The successful bidding consortia in this second phase are based in: the Midlands; Greater Manchester; East of England; Scotland and Northern Ireland. “A few years ago, ultra-low emission cars with mass market appeal appeared just a pipe dream. Now they are a reality and we can have all the convenience of the car without all the carbon that normally goes with it. “Government action to support affordable vehicles and more local charging points means we are on the threshold of an exciting green revolution – 2011 could be remembered as the year the electric car took off. 1. The Office for Low Emission Vehicles (OLEV) is a cross-Government team, bringing together existing policy and funding streams to drive and streamline policy delivery. It incorporates policies, people and funding from DfT, BIS and DECC. 2. 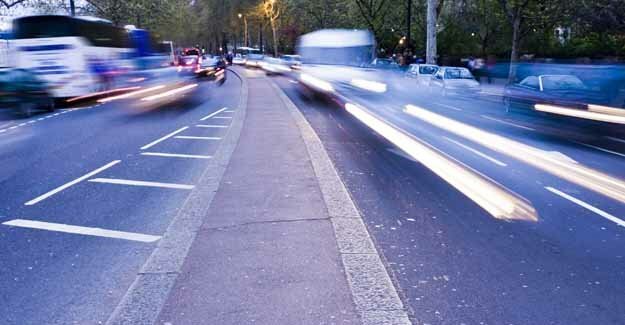 As announced at the Spending Review, the Government has made provision of over £400m to promote the uptake of ultra-low carbon vehicle technologies. This includes approximately £80m supporting research and development activities; £20m for the installation of infrastructure; and, subject to review, provision of around £300m to support consumer incentives for the life of the Parliament. We will continue to monitor the most effective way to deliver this investment. The first review of the Plug-In Car Grant will take place in 2012. 4. More vehicles are expected to be deemed eligible as the scheme continues. 5. The level of the Plug-In-Car Grant has been agreed until 31 March 2012. The level will be reviewed in January 2012; taking into consideration a number of key factors, such as the costs of vehicles and the development of the early market. The level will then be set for subsequent years. £43m has been made available up to the end of March 2012. 7. Funding to March 2013 for the three existing Plugged-In Places projects, based in London, Milton Keynes and the North East, will also be drawn from the £20m fund. 8. Two projects announced last month under Ofgem’s Low Carbon Network Fund (CE Electric UK in the North East and UK Power Networks in London) will investigate, amongst other things, the importance of smart grids to the roll out of electric drive vehicles.